Unlike most of the offices currently available for lease, we offer both long-term and short-term leases. Located on prestigious address in a Class A office building, our offices feature modern and ergonomically designed workspace that is ready to move into and get going in a flash. Each offSpace office suite is fully furnished, individually lockable with access to meeting rooms and support services on a pay-per-use basis. Our café area and lounge areas provide the perfect place to take a break, catch up with international and local news or have a cup of coffee. One-time setup fee for all offices applies: EUR 209 (EUR 261 inc. VAT). All prices are w/o VAT. Prices in brackets includes VAT 25%. The offices are situated at a prestigious location on the 6th floor of the VMD Business Center within the Radnička/Vukovarska Street business zone. When your visitors arrive, they will be received by our receptionist and sent to your office. 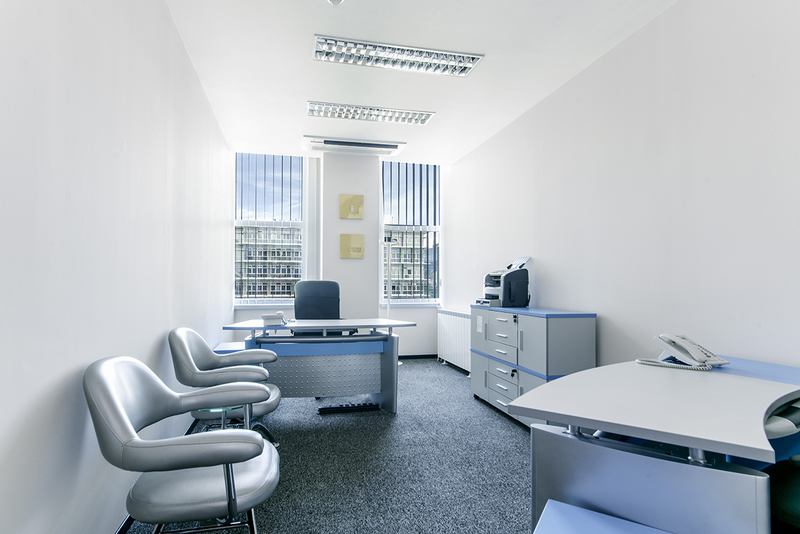 When you lease an office, you will be provided with a separate telephone number for voice services and a separate number for the fax machine. The lease is exclusive of the telephone costs, which are charged according to the applicable HT’S rates. 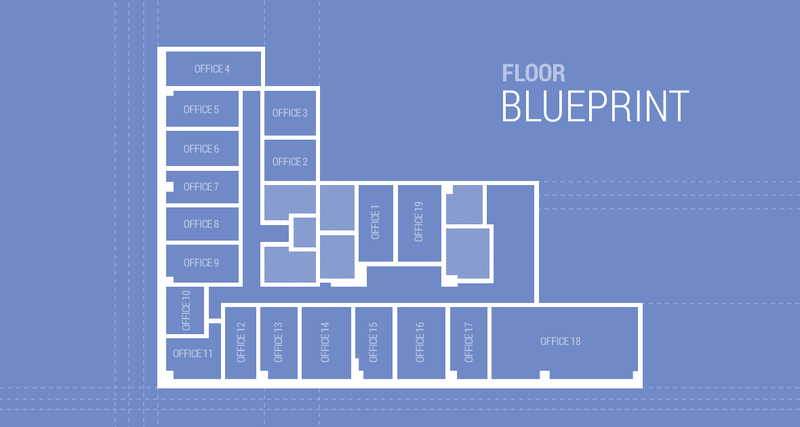 Each office has a free Internet connection with unlimited traffic. 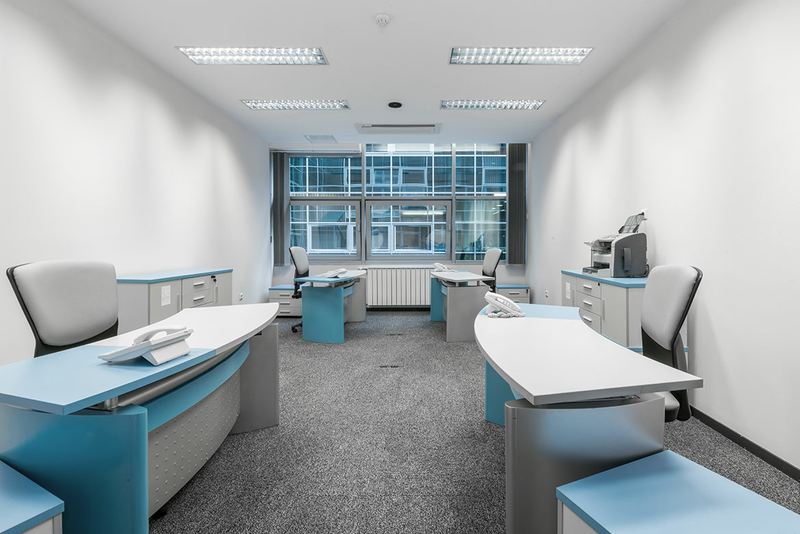 Each office is equipped with 2-3 desks with drawers, the appropriate chairs, chairs for the visitors and a low filing cabinet. 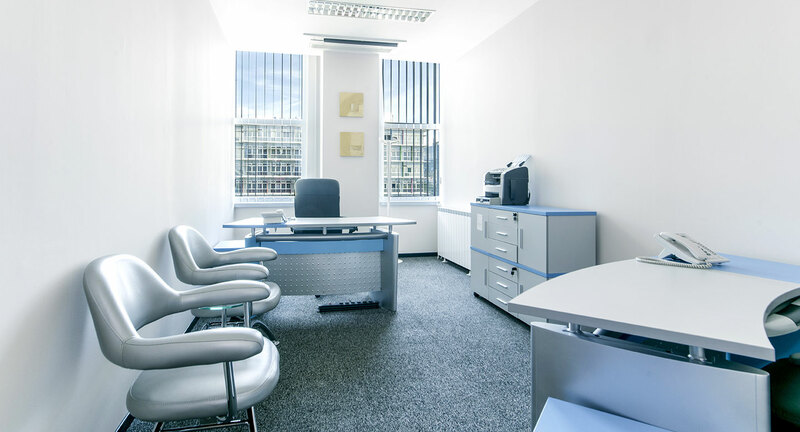 Each office contains a multifunctional printing, photocopying and faxing device. At your initial lease, you will be provided with a full toner that needs to be replaced at departure. The use of the devices is free of charge.